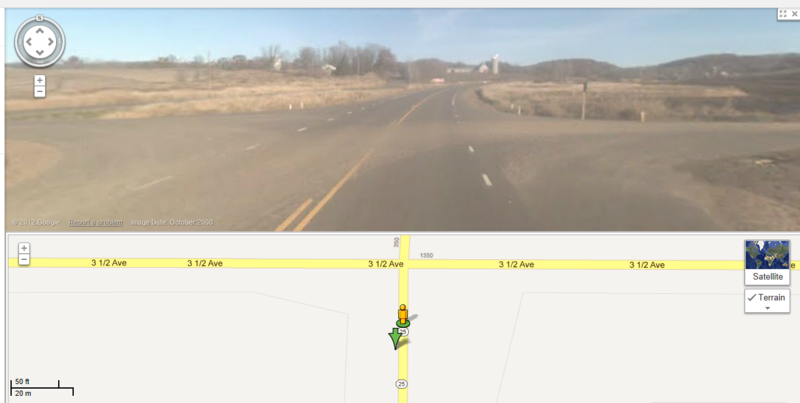 With the release of MicroStation V8i (SELECTseries 3) we now have the ability to integrate Google Maps with MicroStation. Simply by picking a point in the MicroStation view Google Maps will then open to the same location as your CAD file. This will make it really simple to review additional terrain and see the intersection using street view imagery. 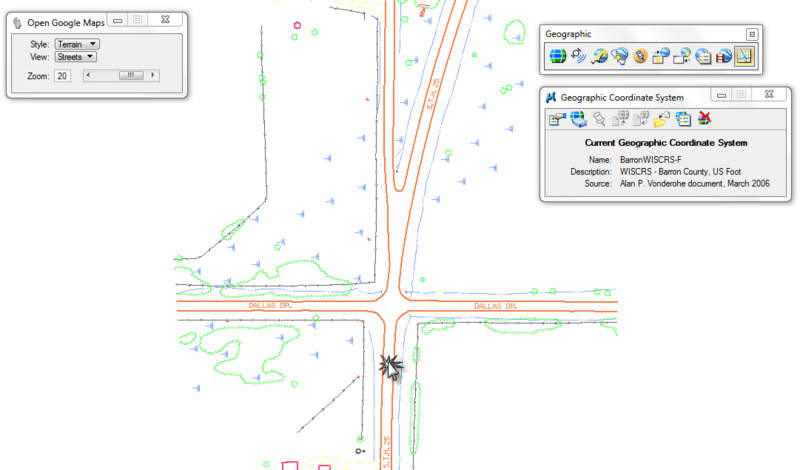 Select the Select Geographic Coordinate System icon. The Geographic Coordinate System dialog will appear. Define a Current Geographic Coordinate System from the Library. Now that the MicroStation design file has a coordinate system assigned it will know how to reproject the location to Google Maps. Select the Open Location in Google Maps icon. Pick a point in your MicroStation view. The internet explorer window will open with the Google Map location you selected in MicroStation. Prior to selecting a point in the MicroStation view use the Tool Settings dialog to control how Google Maps opens. Terrain – View the 3D elevation of natural geographic features. Map – View the map area of your geographic location with corresponding search results and other information from that location. Streets – View street level imagery for the location along with the map in a split horizontal view. Traffic – Get up-to-date traffic conditions at your selected location. The scale range is from 1 – 23. A value of 1 is zoomed out as far as possible like a Fit View or Zoom Extents. A value of 23 is zoomed in as close as possible. Would like to know what some keyin’s for this are. Would like to set actual coordinates instead of picking a point. plus maybe keyin to set zoom. Here is another tip that will show you how to keyin a lat long value. Hopefully it will help.